Aerospace Physiology specialists manage aerospace physiology operation facility. Operates and maintains aerospace physiology devices including altitude chambers. Instructs or observes on simulated flights to altitude, and instructs in a classroom. Trains flying personnel and high altitude parachutists in subjects such as aircraft pressurization, night vision, emergency first aid, oxygen equipment, physiological effects of altitude, and emergency escape from aircraft. Other areas of responsibility include high altitude airdrop mission support (HAAMS), physiology research and development, parasail instructor, hyperbaric operations, human performance training team member, and high altitude pressure suit, technician. Manages associated aerospace physiology programs. Plans and conducts aerospace physiology activities. Assists aerospace physiologist and flight surgeons to set up local flying activity procedures to physiologically indoctrinate flying personnel. Schedules and operates low-pressure chambers to subject personnel to simulated changes in barometric pressure experienced in flying. Controls pressure inside chamber. Monitors air and oxygen pressure gauges, altimeters, vertical speed instruments, humidity meters, temperature gauges, and other instruments indicating chamber conditions. Operates altitude pressure suite control console to adjust pressures inside suits and helmets. Operates hyperbaric and hypobaric chambers for physiological research. Assists medical officers and performs hyperbaric observer duties. Performs flying duties in support of HAAMS operations. Operates night vision trainers and projectors, controlling light intensities, silhouette movements, target and aircraft projection, and introduction of illusory effects. Operates ejection seat trainer and adjusts seat, restraining harness, headrest, and student position to ensure safety during firing. Enforces safety procedures. Operates and demonstrates parasail training equipment, including parasail device, tow reel, tow truck, radio equipment, and meteorological devices. Establishes routine storage, inspection, and maintenance procedures for life support equipment and replacement parts used by training unit. Provides consultation for wing functional area human performances issues. Aids wing functional areas on evaluations, inspections, and surveys designed to eliminate mishap potentials, and serves as human performance consultant during mishap investigations. Conducts training and testing with aerospace physiology devices. Briefs trainees before hyperbaric and hypobaric chamber dives and flights, or other types of physiological training. Questions trainees for disqualifying defects requiring referral to aerospace physiologist or flight surgeon. Acts as inside and outside observer, or other crew positions during chamber flights and training sessions. Notes signs of hypoxia, decompression sickness, and other physiological effects, and assists trainees. Administers tests on physiological data and equipment covered in lectures and trainer indoctrination. 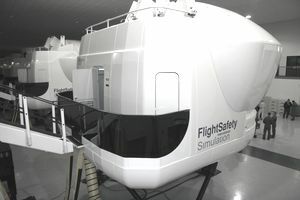 Records information on chamber flights, trainer use, student reactions and symptoms, and operator performance. Briefs students on parasail and proper parachuting techniques. Fits and maintains full and partial pressure suits. Supports associated flight operations. Operates hyperbaric chambers and associated equipment for proficiency and medical treatments. Instructs in parachuting techniques, including landing-fall procedures, swing landing trainer practice, and parasail device use. Instructs in aerospace physiology program. Assists in conducting lectures, discussions, and demonstrations to indoctrinate flying and parachuting personnel in physical and physiological effects and stresses of flight on the human body. Discusses physiological factors involved in acceleration, exposure to temperature extremes, pressurized cabins and rapid decompression, high altitude escape, effective use of eyes under various light conditions, sensory illusions of flying, and various inflight emergency situations. Instructs students in use of oxygen masks, pressure suits, antigravity suits, flying clothing, emergency cylinders, portable assemblies, and other high altitude protection equipment. Instructs and supervises trainees in fitting, adjusting, and maintaining oxygen masks and other personal equipment, and use of oxygen regulators, ejection seats, and safety harnesses. Instructs proper parachuting techniques, including landing procedures, swing landing trainer practice, and parasail. Advises and consults with Aerospace Physiologists on matters regarding course curriculum and preparing training manuals. Instructs flying and nonflying warfighters on the stresses and human performance implications of military aviation, space operations, and worldwide deployment environments. Reviews mishap investigation reports and safety reports to develop training that is designed to prepare combat forces for mission effectiveness. Prepares and maintains records. Records information on types and duration of hyperbaric and hypobaric chambers, trainer use, and participation of students and operator personnel. Records occurrence and severity of symptoms of decompression sickness, adverse reactions, and other physiological or psychological disturbances caused by chamber flights. Maintains individual records of training completion. Prepares reports and collects data on special tests. Maintains and modifies training equipment. Performs simple maintenance on high- and low-pressure chambers and pumps, interphone equipment, ejection seat trainers, pressure suits, oxygen equipment, and other physiological training devices. Prepares training devices and aids for indoctrination sessions. Conducts preflight and preuse equipment checks. Installs replacement parts in defective equipment. Prepares recording instruments to follow course of operations and special tests. Modifies standard equipment and apparatus to perform special tests. Constructs special training aids, mockups, and testing devices. Inspects and evaluates aerospace physiology activities. Reviews policies and procedures to determine compliance with directives. Evaluates indoctrination program. Interprets findings and recommends corrective action. Coordinates and consults with aerospace physiologist to improve administrative and technical methods. Evaluates mission-specific human performance issues as an operational support flyer. Performs technical aerospace physiology functions. Resolves technical problems pertaining to aerospace physiology operations. Obtains and compiles data for aerospace physiology activity reports. Assists in research activities. Knowledge. Knowledge is mandatory of anatomy and physiology, physiological effects of flight, emergency medical care, techniques of operating and maintaining aerospace physiology devices, using and fitting flying equipment, instructional methods, and examination procedures. Education. For entry into this specialty, completion of high school courses in biology and chemistry are desirable. A basic aerospace physiology course. An appropriate course in academic instruction. Completion of the Aerospace Physiology Craftsman Course. Completion of the Enlisted Human Performance Enhancement Course. 4M051. Qualification in and possession of AFSC 4M031. Also, experience in functions such as operating and maintaining physiological training devices, or fitting, maintaining, or inspecting oxygen and personal flying equipment. 4M071. Qualification in and possession of AFSC 4M051. Also, experience supervising functions such as operating and maintaining aerospace physiology devices, administering tests to physiological trainees, or instructing in physiological training. 4M091. Qualification in and possession of AFSC 4M071. Also, experience managing functions such as operating and maintaining aerospace physiology devices, administering tests to physiological trainees, or instructing in physiological training. Clear voice without speech impediments. Physical qualification for aerospace physiology duty according to AFI 48-123, Medical Examination, and Standards.